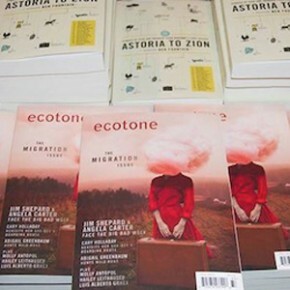 In House Guest, we invite Ecotone contributors and Lookout authors, as well as editors from peer presses and magazines, to tell us what they’re working on or considering. Michael Brooks Cryer’s Channels, Frequencies, and Sequences appears in Ecotone 20, the Sound Issue. 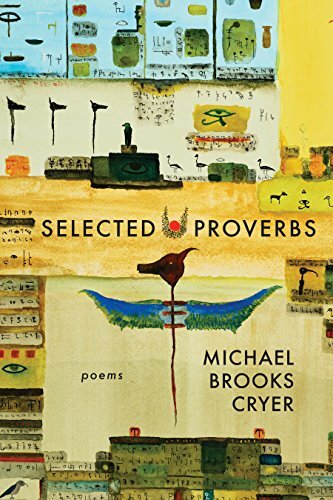 His book Selected Proverbs, winner of the 2016 Elixir Press Antivenom Poetry Award, was published by Elixir Press in December. Whenever I walk through the convention-center doors on my first day at AWP—which is usually Saturday, the last day of the conference—I think of what August Kleinzahler says about the Grand Canyon: “Nothing quite prepares you for it. Terror, that’s what it’s about.” He also says the only reasonable response to the chasm is to back away slowly. I wasn’t sure I was going to attend AWP in Tampa this year. I don’t think I’m ever sure I’m going to attend AWP. But, alas, I end up there most years to see old friends who are spread out across the country at various colleges and who converge on some unknowing city to add another tote to their collection. Of course, I don’t want to sound like a total crank—I’ll leave that to professionals like Kleinzahler—so it’s worth saying I like to catch up with friends at these things. And I also decided to attend this year because I had an opportunity to give a reading to promote my book of poems. Elixir Press released Selected Proverbs in December, so it seemed like AWP was as good a place as any to get the word out.